New to Maker City Church? You might be wondering, what's it really like at Maker City Church? 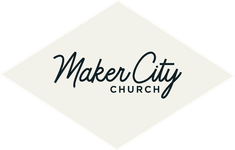 Simply stated, at Maker City, we're all about Jesus. No pretense, only love. We don't care how you're dressed or what candidate you voted for. Our church is made up of imperfect people with every kind of story imaginable. Fill out the form below so we can connect with you. Or you can also go ahead and plan your first visit. We're really glad you came! NOTE: We value your privacy and would never spam you. That would be very uncool.